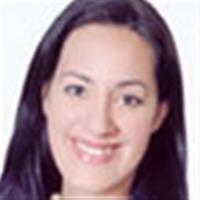 Heba El Rafey obtained a BA in European Studies (Italian and Management) from London University, 1995, and an Advanced Certificate in Marketing from the Chartered Institute of Marketing, UK, 1998. She has lived in several countries, she can speak five languages, and she is interested in all matters intercultural. Her general management and leadership skills have helped her develop a strong career at the BA since 2001, culminating in her current position as the Director of Public Relations and International Communications.